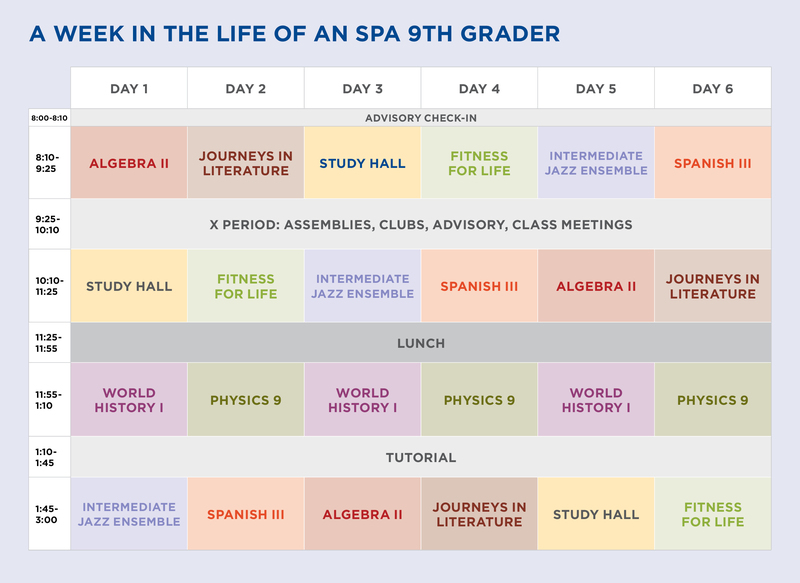 The Upper School follows a six-day block schedule in which students have four classes per day, each for 75 minutes. The long blocks allow teachers to delve deeply into complex material and topics. 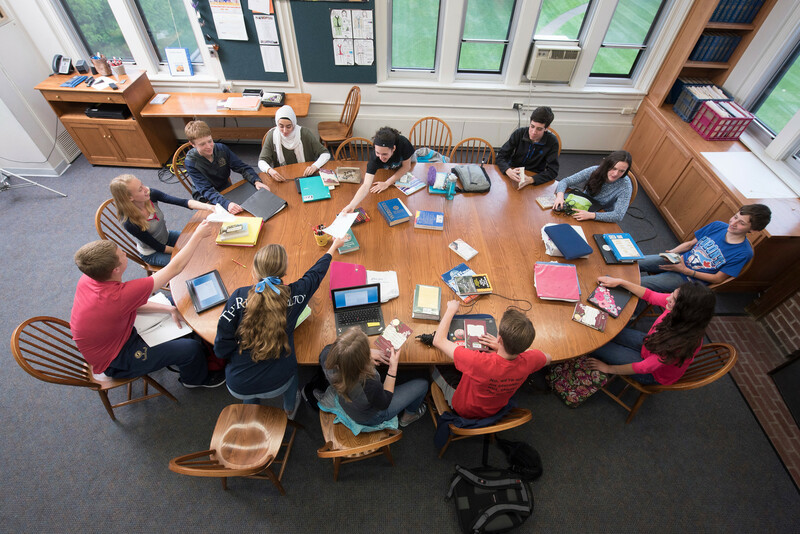 There is time in each class period for authentic problem-solving, collaboration, and a range of activities to engage all learners. 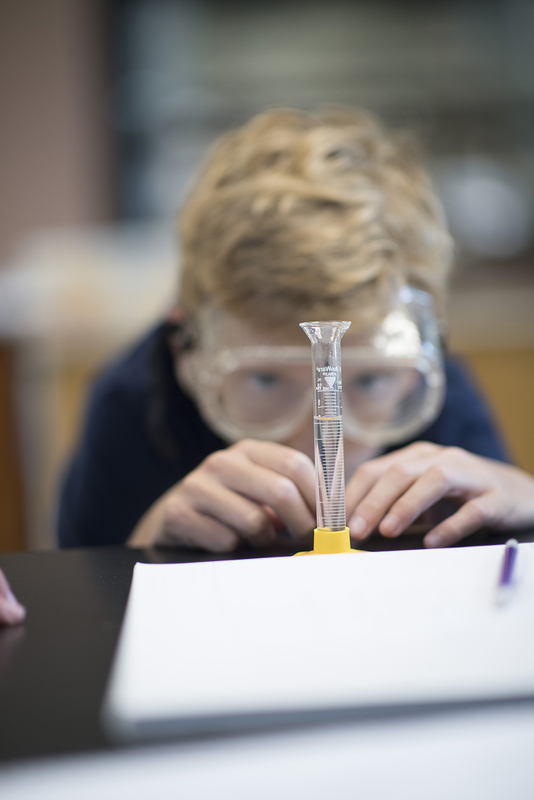 The academic day begins in the Upper School at 8 a.m. except for Wednesdays, when the day begins at 8:45 a.m. Students begin the day in their advisories for a ten-minute check in before starting the first 75-minute academic block. The 45-minute "X Period" after the first block allows time for assemblies, student organizations, and club meetings, and work with teachers and peers. 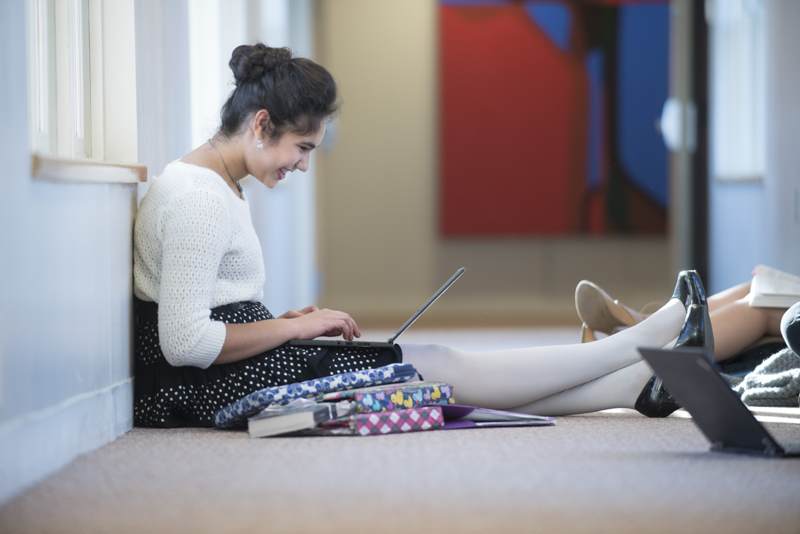 Every day includes a 30-minute lunch period, preceded or followed by the third academic block. Every day except Wednesday includes a Tutorial period--a time for students to do their homework or meet with teachers for extra help.